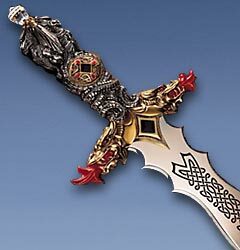 The Dragon-Master's Dagger by World-Renowned Fantasy Artist Greg Hildebrandt. 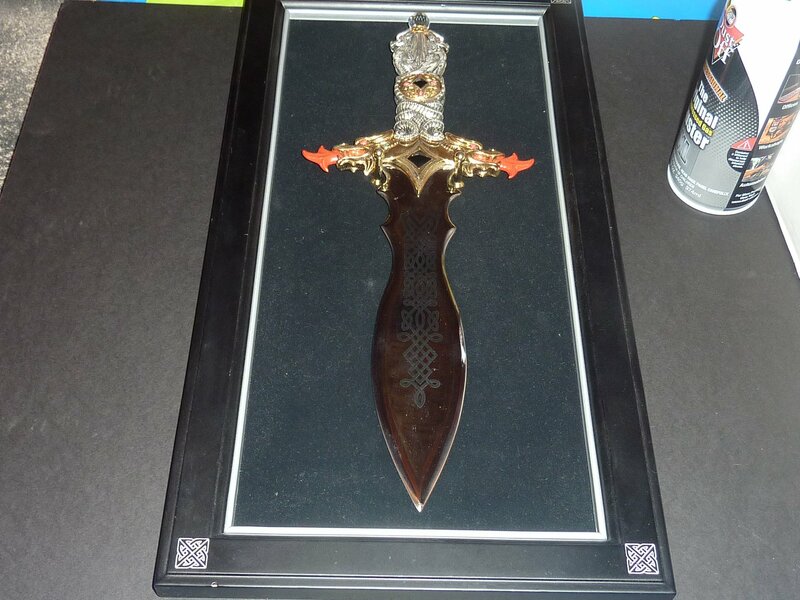 The item is in Excellent condition - was on display! Click on the pictures to enlarge. I can see only one small defect - a ding on the bottom left corner of the display. Complete with custom-designed hardwood-framed display. Issued in a Limited Edition. 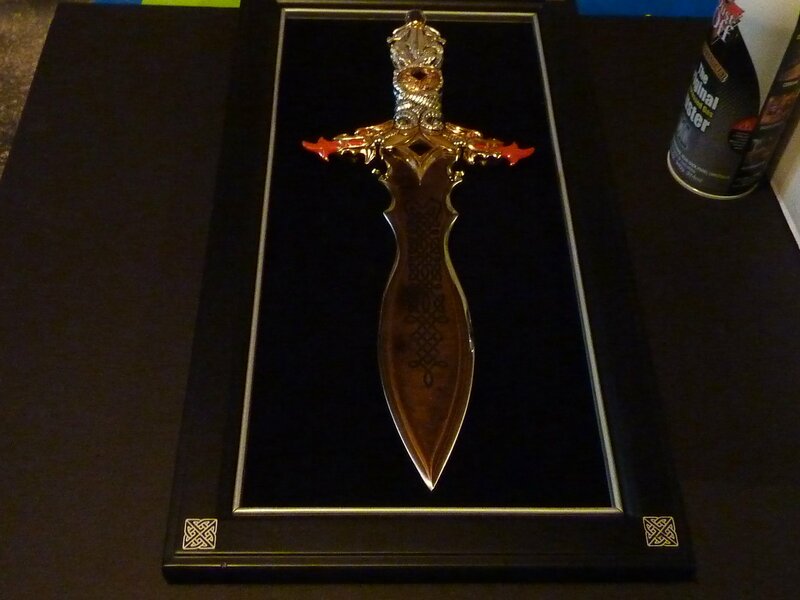 The talisman on the handle is hand-set with real black onyx and carnelian. A beautiful Swarovski crystal is set atop a castle turret at the pommel. 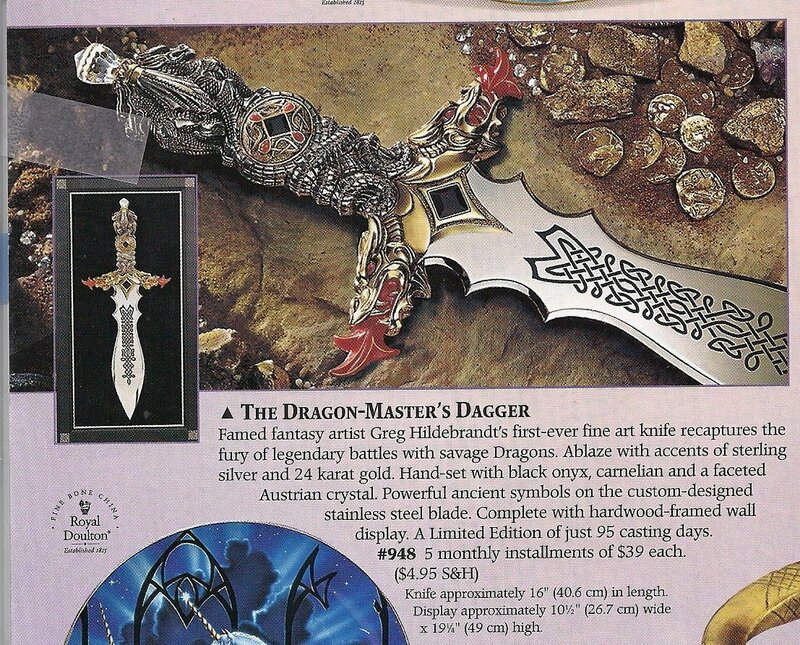 The Dragons on the hand-guard are richly accented with gold.